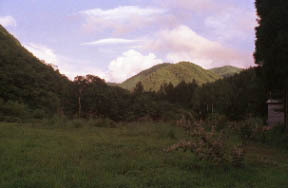 Akigami hot spring distant view. 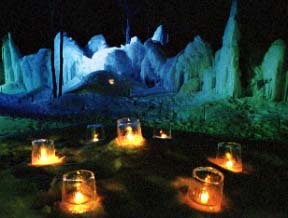 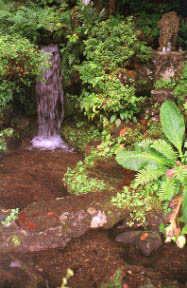 In front of a lodge, water springs and a stream is built. 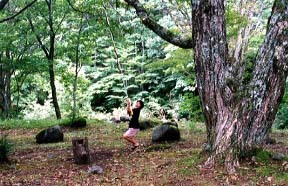 A forest is children's playground. 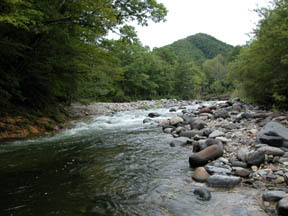 They are marine preserves 1.3 km before and behind the akigami river crowded with the fishing guest of a char red-spotted trout, and the lodge.